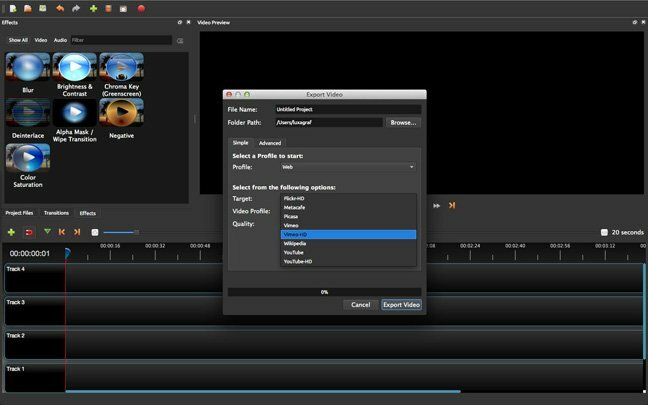 Review It's been nearly two and a half years since the OpenShot video editor released an update. The long-awaited OpenShot 2.0 was beginning to feel like vaporware until a Kickstarter campaign raised more than $45,000 and promised a cross-platform release. The Kickstarter backers got their first look at OpenShot 2.0 beta at the end of last year, but now everyone can try it out. There are downloads available for Mac, Windows and Linux (Ubuntu PPA). While the cross platform aspect is nice, Windows and Mac OS both already have very capable, free video editors. The real winners here are Linux users who now have an editor that's on par with Apple's iMovie (even more powerful than recent versions of iMovie) and bears considerable resemblance to the industry-standard Final Cut Pro. As I noted in my review of video editors for Linux, OpenShot was once the go-to standard for video editing on GNOME-based distros. And now with 2.0, OpenShot is back and better than ever. The new release features a completely reworked timeline and, perhaps most important, an autosave engine that saves your project at set intervals. In addition to the autosave feature (which should be enabled by default), OpenShot 2.0 has a new automatic backup and recovery feature. Even if you haven't saved your project yet, the autosave engine will make a backup and, should OpenShot crash, it will recover your most recent backup on re-launch. That's particularly handy since as of now, OpenShot 2.0 remains a beta and it did crash a few times in my testing. Each time though, I restarted it and picked up right where I left off. Given the general instability of other Linux video editors (KDenLive comes to mind), the session restore alone puts OpenShot ahead of competitors. Also welcome are the editing interface's speed improvements. Provided you have the available RAM, the interface is very snappy, with no lag when you're scrolling or zooming the timeline. If you're a long-time OpenShot user, you'll also notice performance improvements in other areas, including the real-time previews. That said, OpenShot 2.0 does benefit from large amounts of RAM, and when it comes to editing video there's no such thing as too much RAM. The user interface has been completely reworked and features much more intuitive and easy-to-use editing tools. Perhaps the most useful of these is the timeline as the center of the app. Just about everything you need to do to a clip can be done from the timeline context menu. Just right-click the timeline and you can copy and paste clips as well as insert fades, animations or effects. The new timeline context menu puts the bulk of the options available in OpenShot in one place. For the most part it works, though in some cases the menu can get a few levels deep, which makes navigating your cursor through them a little awkward. In most cases though, it's a huge time saver and saves you one of the big headaches of video editors – figuring out where the features you need actually are. Combining the context menu with the drag and drop video clip support, and the keyboard shortcuts for frame stepping (J, K and L), I was able to quickly go from having no idea where anything was to making edits at the same speed I can in more familiar editors. In fact, OpenShot 2.0 was the easiest video editor I've ever had to figure out. Another big time saver is the new split clip dialog, which lets you take a single video file and quickly cut it up into shorter clips. In terms of functionality, it's no different than splitting clips on the timeline but it makes it easy to name the clips as you go, something that helps keep your project organized – perhaps one of the bigger challenges of video editing. There's also a new dialog that moves clips in the opposite direction – bulk adding them to the timeline. I haven't found a use for this yet, though I can see it being helpful if you wanted to make a slideshow out of hundreds of images, or just wanted to dump a lot of clips on the timeline at once for some reason. Feature-wise, OpenShot competes well with just about any video editor short of Avid or Final Cut Pro, which most users won't need or even want. 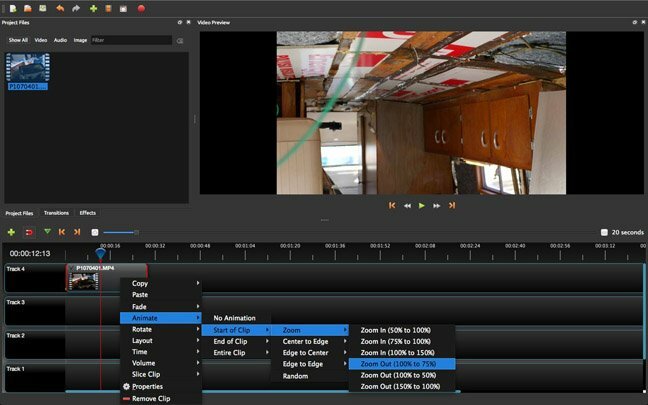 OpenShot 2.0 manages to strike a nice balance between complexity and full-featured to deliver a video editor that should keep just about everyone short of Hollywood pros happy.